Let’s get a couple of things out of the way: It’s a good thing that, thanks to the leak, the public now knows the extent to which the DNC tilted the scales in favor of Hillary Clinton during the Democratic primary. It’s also a good thing that former DNC chair Debbie Wasserman Schultz was forced to step down as a result of these revelations. The DNC had an obligation to stay neutral during the nominating process, and these emails show that the organization failed at that. Much of what has been reported on out of the hack was newsworthy. What isn’t good is that the documents released last week (19,252 emails and 8,034 attachments) were dumped in an extremely calculated manner by an organization that holds clear and obvious political motives. It’s also not good that these emails most likely came from hackers working with the Russian government in an attempt to influence the U.S. election. On top of that, WikiLeaks’ careless failure to vet the contents of what they were unleashing on the internet led to the dumping of credit card and social security numbers of individuals who had committed the crime of donating to the Democratic Party. I want to set up a new standard: ‘scientific journalism.’ If you publish a paper on DNA, you are required, by all the good biological journals, to submit the data that has informed your research—the idea being that people will replicate it, check it, verify it. So this is something that needs to be done for journalism as well. There is an immediate power imbalance, in that readers are unable to verify what they are being told, and that leads to abuse. But this DNC dump is a different animal, reeking of the sort of “information vandalism” that anti-secrecy activist Steven Aftergood has accused Assange of perpetrating. These emails were not official documents, they were not created by government employees. The logic of wholesale non-consensual transparency does not apply as cleanly to the email inboxes of political workers who do not act in the name of the citizenry. Yes, the DNC is a powerful institution, and yes, its internal machinations are newsworthy. But innocuous exchanges between DNC employees and their spouses or partners do not become evidence of corruption simply by virtue of their adjacency in a database to more substantive conversations about kneecapping Bernie Sanders. Nor do the Social Security numbers of Democratic donors—even the rich ones!—whose donations are already public in Federal Election Commission databases. It’s hard to explain this disregard. It could be some sort of ideological aversion to redacting even the most personal or pointless information. 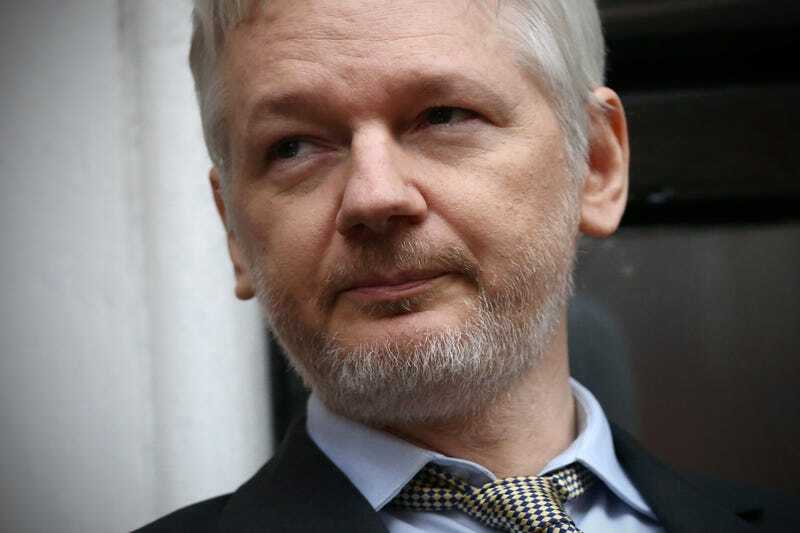 Or it could be a lack of manpower and time: Assange has never shied away from expressing his disdain for Hillary Clinton, and he certainly appears to have deliberately timed the release to maximally disrupt the proceedings of the DNC. It’s unclear how long he has had access to the data, but it could be that time ran out and he decided to publish and be damned. In any case, his failure to apply even his own “war, spying and corruption” to the release makes the whole thing look more like a personal vendetta than journalism, scientific or otherwise. When contacted for comment, a spokesperson for Julian Assange, the publisher and creator of WikiLeaks, referred Gizmodo to the WikiLeaks Twitter page and his interview with DemocracyNow. According to Glenn Greenwald, the journalist who won a Pulitzer Prize for his work on Edward Snowden’s NSA documents, it is now harder than ever to defend WikiLeaks. WikiLeaks was once a grand idea—a way to protect vulnerable sources while helping important information find its way to the public. Its successes changed the history of journalism. But the dream of scientific journalism has devolved into an egomaniacal campaign of attention-seeking, and a political war waged with documents Assange almost certainly received from Russian-backed hackers looking to influence the U.S. election.